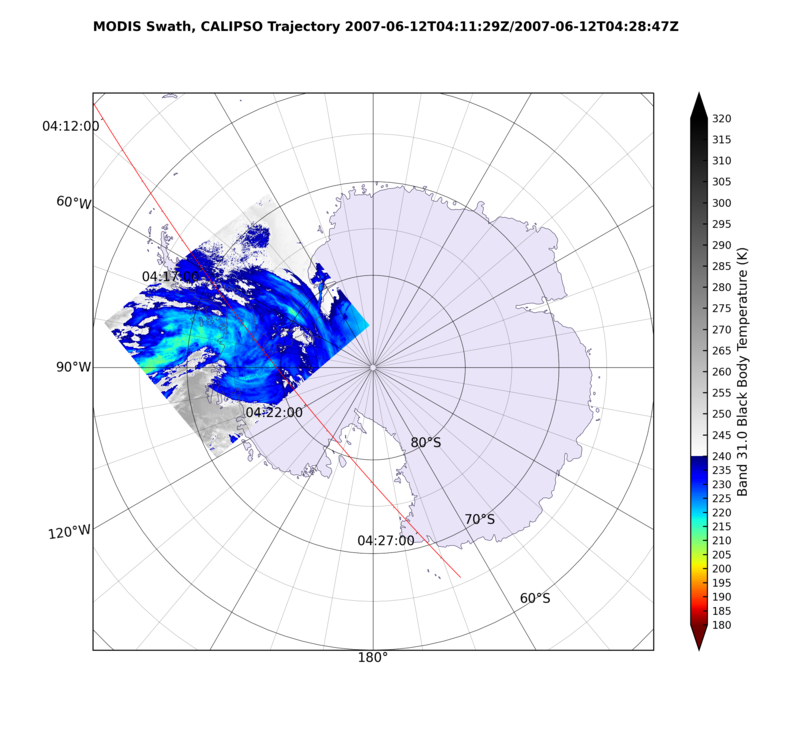 ccplot is an open source command-line program for plotting profile, layer and earth view data sets from CloudSat, CALIPSO and Aqua MODIS products. Including surface elevation, custom colormaps and easy extent selection. 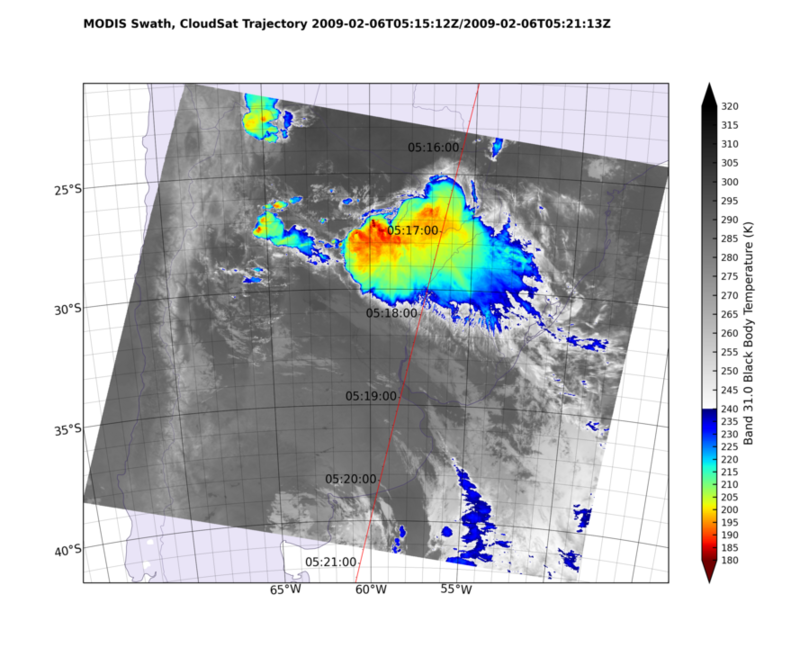 Several projections and MODIS bands are supported. ccplot was developed thanks to data from NASA CloudSat, CALIPSO and MODIS projects. The ccplot project is hosted on SourceForge & GitHub, testing by Travis CI.